Moon & Jewhurst of Tunbridge Wells, devised this fly that was originally named 'Moon's fly'. However in 1838 it was renamed 'Butcher' after the their trade, butchers, and the colours of their white and blue aprons splattered with blood. It has continued to be a killer for almost 180 years on still waters and rivers. There are only times when some places are better than others. Rib : Oval silver tinsel. Wing : Blue mallard, crow wing or magpie tail feather. 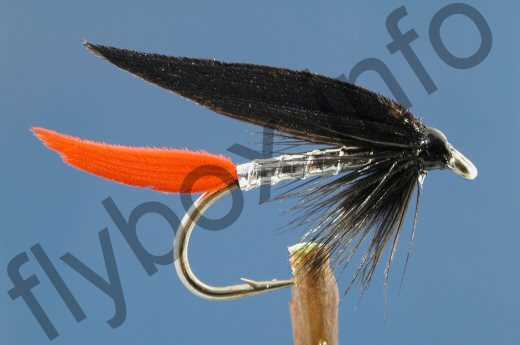 Currently there are no comments about the Butcher fly pattern from other fly fishermen yet.